Thomas Gray Fountain of Albany, GA died peacefully at his home on April 4, 2019. He was born to Helen Gray and Thomas Lester Fountain of Butler, Georgia on October 1, 1922. He spent his childhood on the family farm raising peaches on the Red Level of Taylor County. He graduated from Butler High School as salutatorian and best all-round boy in 1939. He completed one year of study at Georgia Military Academy, now Woodward Academy, before attending Emory University. He went on to Emory Medical School, graduating in 1946. During WWII, he served two years in the US Army in Japan. He returned to Emory and completed his surgical residency in 1952. In 1954, he completed an advanced cancer surgery fellowship at Emory’s Winship Clinic. In 1951, he married Ruth Ann Cook of Concord, NC, a nurse at Emory Hospital. They moved to Albany in 1954. He set up a general surgery medical practice and served his community through his medical practice and as a supporter of many community organizations including the Anchorage, the Dougherty County Kiwanis Club, The American Cancer Society, and the First Baptist Church. He served as President of the Anchorage and was a board member and loyal supporter of the Anchorage for over 60 years. 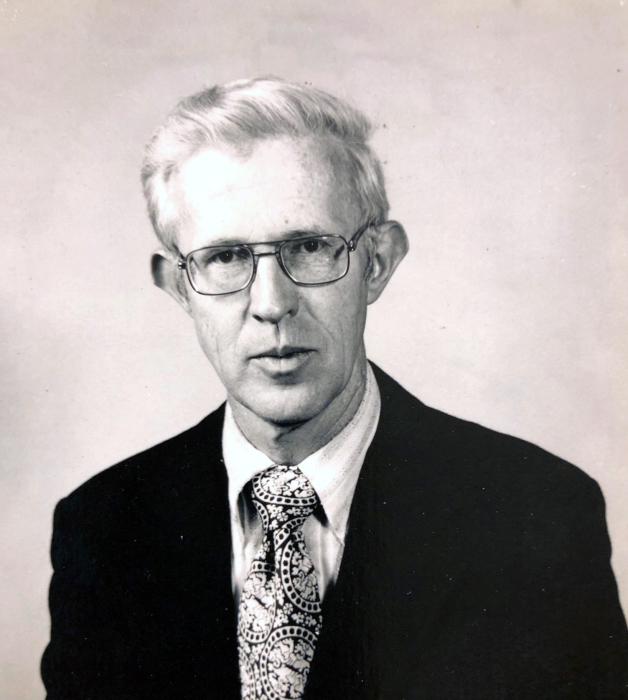 His vision for the future was instrumental in the development of the Anchorage Trust Fund. The Education Center at The Anchorage is named in his honor. He served as President of the Dougherty County Kiwanis Club. Later, he was the chairman of the Arts Committee that first started the Kiwanis Art Competition in the Dougherty County Schools. Always an avid believer in education he, with other members of the Kiwanis Club, set up the Dougherty County Educational Foundation for college scholarships to local students. He was a lifelong Baptist and a faithful member of the First Baptist Church of Albany since moving to Albany in 1954. He served as Chairman of the Board of Deacons and as a Deacon for many years. He was an avid traveler with inquiring curiosity who liked to experience all people, cultures, and natural wonders over the earth. He traveled with the Friendship Force where he enjoyed experiencing the homes of people in other countries. As a result, he gladly opened his home to people from all over the world and continued cherished relationships with them throughout his entire life. He was a nature lover and opera fan. He gardened, camped, hiked, hunted, and rode horseback. He planted walnut, pecan and pine trees. He encouraged his family to do the same. He was a devoted husband and father. He will be missed. He is survived by his wife of 68 years, Ruth Cook Fountain and three daughters and sons-in-laws, Dellen and Blain Lyall, Toy Fountain and Jack Maull, and Juby and Leonard Phillips. He has six loving grandchildren, Jennifer Lyall Hatcher; Katy Lyall Hunt; Thomas, Peg, and Mary Grace Maull; and Kate Phillips Colby and seven great grandchildren. The family sincerely appreciates the kind and faithful care given by Tira Price, Andrea Davis and Gloria Bush. His memorial service is at 2 p.m. Monday, April 8, 2019 at First Baptist Church of Albany, 145 Oakland Parkway, Leesburg. Visitation with the family is at 1 p.m. at the church. In lieu of flowers memorial gifts may be made to The Anchorage Endowment Trust, the Educational Fund of the Dougherty County Kiwanis Club, or the First Baptist Church's Food or Flower Ministry.